Bhagavathi Seva is done for Durga devi. Bhagavathi devi is one of the very powerful goddess and also very merciful mother, She is the destroyer of all evil spirits which makes lot of all problems to your life. 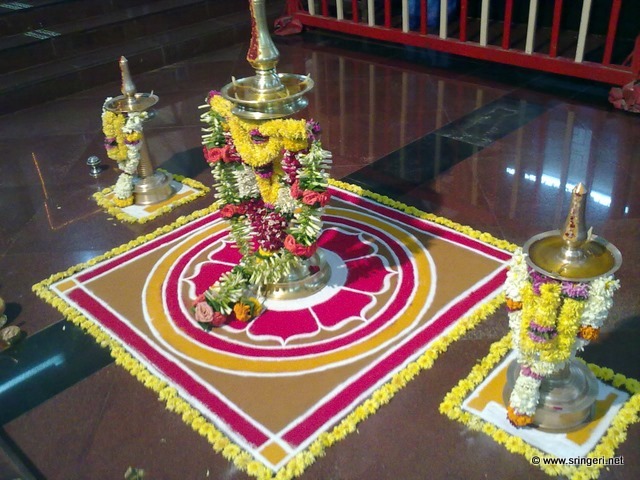 Bhagavathi seva pooja is done to ejects all types of black magic and also any health problems.This pooja is performed by a big lamp which is placed in the center of the mandala. When To Perform Bhagavathi Seva Poojai ? This pooja can be performed on days which belongs to devi like Astami, Navami, Poornima and Fridays.